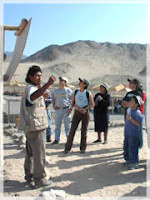 07:30 Recojo de su Hotel | Picking up from the hotel to CARAL excursion. 11:30 Llegada a CARAL | Arrival to CARAL. 11:45 Tour en CARAL | Tour in CARAL. 15:30 Almuerzo | Lunch (Lunch not included in group service). Salida / Departure : 07:30 hrs. Retorno / Return : 18:30 hrs. CARAL-Supe representa a la civilización más antigua de América, desarrollada casi simultáneamente con las de Mesopotamia, Egipto, India y China. Los habitantes del Perú se adelantaron en, por lo menos, 1500 años a los de Meso América, el otro foco civilizatorio de los seis reconocidos mundialmente, y en más de 3000 años a la sociedad que edificó las reconocidas ciudades mayas. En el Perú, las formas de organización económica, social y política de las poblaciones de CARAL-Supe causaron fuerte impacto en la historia del área; trascendieron el espacio y el tiempo, y sentaron las bases del sistema sociopolítico que tendrían las poblaciones de los Andes Centrales. En el área norcentral del Perú, el modelo de organización diseñado e implementado por el Estado de Supe, condujo por varios siglos el accionar de los individuos en los diferentes campos: económico, social, político y religioso. 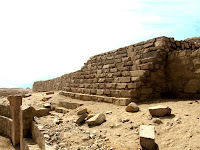 The city of CARAL was built by one of the most important civilizations of the planet; it was created by the community work of its inhabitants in a territory of geographical contrasted configurations. A lot of persons know Cusco as capital of the Inca Empire and Machu Picchu as the possession of one of last Incas; but only a few know that the Sacred City of CARAL was built by the first political state that was formed in Peru 4400 years before the Incas. 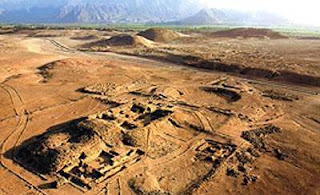 CARAL-Supe represents the most ancient civilization in the American Continent, developed at the same time of Mesopotamia, Egypt, India and China. The Peruvian inhabitants were 1500 years ahead of those of Mesoamerica, the other point of civilization of the six recognized around the world and in more than 3000 years ahead of the society that built the recognized Mayas cities. The precocious development of the CARAL-Supe’s society converted it in the most ancient civilization of the New World, but as a difference of other points of civilizations as Mesopotamia, Egypt and India, that interchange knowledge and experience; CARAL got an advance without precedents in complete isolate and away of the other cultures in America and the Old World. 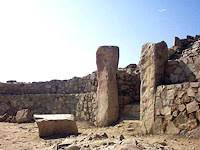 In Peru, the economic, social and political organization of CARAL-Supe caused a great impact in the area’s history, it crossed time and space and established basis for the social-political system in the Central Andes. In Peru’s area; the model of organization developed by Supe’s State lead for many centuries the way of living in different areas: economic, social, political and religious. I was working in Lima, but had the weekend off and really wanted to visit Caral. It is the most ancient major ruin in the Americas and was only recently discovered. Online I found a few day tours from Lima. Some were extremely expensive ($450) and some were booked. But I got a quick response from Peru Smile Tours who fit me in for a private tour. 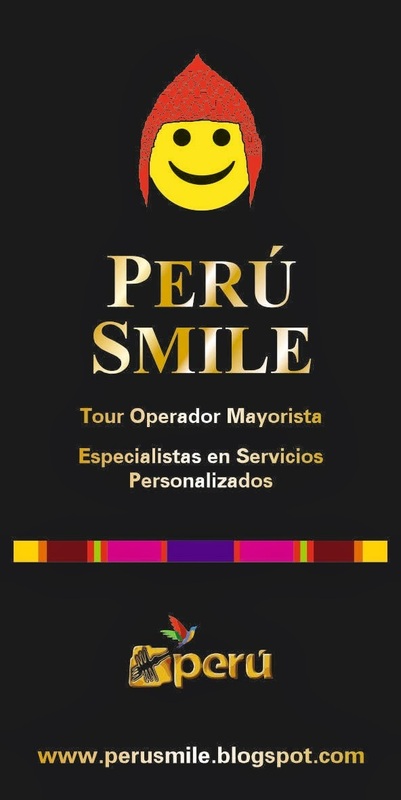 Peru Smile's staff were responsive, able to do the whole transaction clearly in English (I do not know Spanish), and did everything they promised they would do. One of the company's owners, Jorge, did the driving (which was more difficult than I had pictured -- including fording the Supe River in his car -- all of this on his birthday) and his colleague Orlando was my guide. Both Jorge and Orlando were great company all day and explained a lot to me about Peru in general (both are rightly very proud of Peru and like to show it to visitors). Orlando speaks English well and is very well informed about Caral. He also clearly loves the site. I loved the site. It is a truly amazing location that Peru has done an excellent job of presenting to visitors. The site is beautiful and very clean. And the model of the development is respectful to the site and the town of Caral, which has been included in the development plan. Because of this you must follow a local Caral guide around the site. If you speak Spanish this is probably great, because the person lives right there and probably knows the site very well. If not, it becomes even more important that you go with a guide. The site is impressive no matter what, but more so if you have someone who can tell you about it, in a language you understand. I would recommend the Peru Smile Tour very highly. I stumble upon Caral by accident when looking for things to do in Lima. I am very interested in ancient ruins and archeological sites so when I found Caral, a 5000 year old ruins that is considered the mother culture of South American cultures, I have to be there. However, planning the strip is not easy. I am travel alone and does not speak enough spanish to get me through. 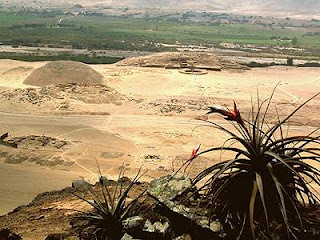 In addition, Caral is about 3 hours (traffic in Lima) away from Lima and is quite remote. 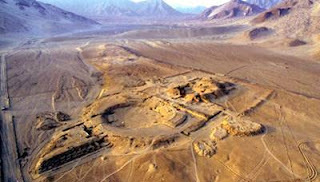 It does not help that Caral has only been discovered 18 years ago and not too many people has heard about it. I searched high and low for a reputed local tour operator and only a few came up. One of them(Caral Tour) is quite expensive (USD$300 +) considering I am the only client for the trip. One of them is very affordable, but it is a bit shady. For one, the transport will be through local public transport. Then there is Peru Smile. I am a very picky person so I have a lot of questions about little details. Peru Smile owner Jorge Fernandez Lazo was very patient with all my questions and multiple confirmation of the same questions. He understands that since I am probably the only client on this trip, he made special effort to accommodate me cost-wise. Payment transfer from US to Peru was within a few hours and all the paper trail are provided and clear. On the day of the tour, Mr. Fernandez become my driver and he also provided me with a very knowledgeable guide, Orlando. All through the drive, I keep bombarding the two with questions about Peru, the culture, the country and everything else. They answered each and every single question with clarity and with enthusiasm. Not only did I learn about Caral, I also learned about Peru and Lima as a modern city on the rise, its culture and its people. When we are on site in Caral, Mr Orlando explained very little thing about the ruined city. It is a national park so a local spanish guide was provided and mandatory. With my limited spanish, I can sometimes make out when the guide was explaining to me, with the help of some on-site illustrations. However, when it was time for Mr Orlando to translate, I noticed that he gave even more information and background about the sites. Standing among the ruins of Caral, understanding its significance and its impact to South America and, potential Centrl America, I was overwhelmed with emotion. This is where an isolated civilization started and then expanded thousands of years later to many other cultures and civilizations, including the Inca. This is one of the six ancient civilizations that has done that 5000 years ago. And this happened during the time Egyptians were building the pyramids, the Europeans building the Stonehenge and the Chinese were uniting all tribes to become a society. I was in the middle of the start of a civilization.